Poland’s demands for war reparations from Germany are “a claim for justice,” its prime minister said on Thursday as the Polish parliament reportedly prepares the ground for a possible legal claim. Berlin has frequently said the issue has been resolved in full. Speaking after a cabinet meeting on Thursday, Prime Minister Beata Szydlo echoed other top officials who maintained the Poles are still recovering from the damage done by Nazi occupation. “In fact, it could be said that Poland is demanding justice,” Szydlo was quoted as saying by Poland’s TVN24 broadcaster. “We are a victim of World War II and the damage was not reimbursed in any way – just the opposite,” she added. 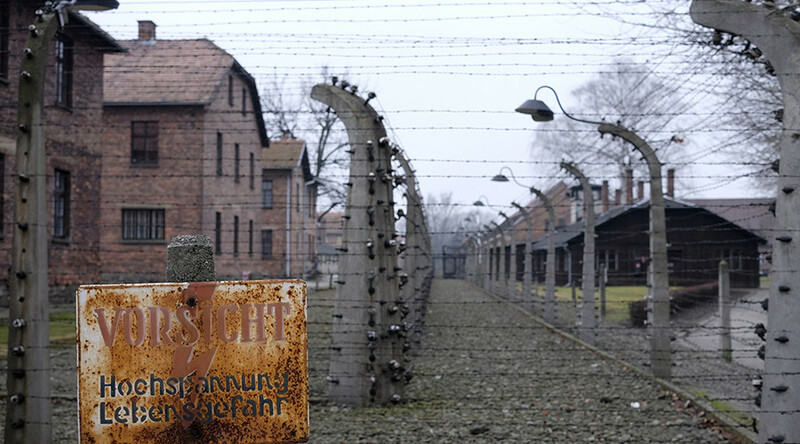 Over the past weeks, top politicians in Poland have been ramping up talk of demanding war reparations from Berlin. Earlier in the month, Arkadiusz Mularczyk, an MP in the ruling Law and Justice party (PiS), said the Polish parliament, the Sejm, is analyzing the legal possibility of putting forward the reparations claim. Mularczyk pitched up the corresponding request to the parliament’s bureau of research, said the issue was “a moral duty” for Poland’s politicians. The parliament has already passed a resolution in September 2004 declaring that “Poland has not yet received war reparations payments and damages for the enormous extent of destruction and material and non-material costs brought on by German aggression, occupation and genocide,” as cited by EUobserver. It called on the government to estimate the damages and start talks with Berlin. 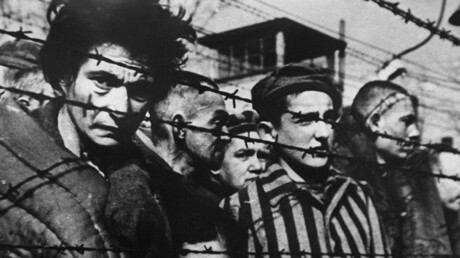 During a news briefing on August 2, the official noted that while Germany accepts bearing responsibility for the outbreak of the World War II, it “has made significant reparations for general war damage, including to Poland, and is still paying significant compensation for Nazi wrongdoing,”according to AP. The Third Reich invaded Poland in August 1939, paving the way for the six-year occupation which ended in 1945 when the Red Army liberated Polish lands during a series of major offensives in Eastern Europe. East Germany and communist People’s Republic of Poland – members of the Soviet-led alliance – reconciled the reparations issue in 1953. The Poles unilaterally waived their demand for compensation, while the East Germans ceded much of the territory of former Prussia – the heartland of German militarism – to both Poland and the Soviet Union. The historic move did not sit well with the current government in Warsaw. Hawkish Defense Minister Antoni Macierewicz claimed that Socialist-era Poland was a “Soviet puppet state,” which compromised renunciation of reparation claims at the time. Germans need to “pay back the terrible debt they owe to the Polish people,” he said, according to Deutsche Welle. However, some other government officials recently quelled the reparation claims. Marek Magierowski, deputy foreign minister of Poland, said on August 8 in a statement to the parliament that the 1953 reconciliation was lawful and legally binding. The top diplomat added the government’s position on the matter has not changed since then, but added Polish citizens had full right to sue Germany over damages inflicted during the war. Greece, another country that was under Nazi occupation, had also demanded that Germany pay €278.7 billion (US$329.4 billion) in giant war reparations. 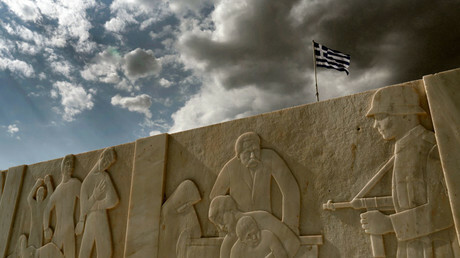 Berlin dismissed Athens’ claim as well, with government spokesperson Steffen Seibert saying “it is our firm belief that questions of reparations and compensation have been legally and politically resolved,” according to Reuters.